Let Us Take a Few Off. We are a Content Marketing Agency in Eastern Ontario. What that means is that we create marketing content for single projects, like a website, video, or photography… but we also have the resources and experience to run an all-in-one marketing retainer… where you have full access to all of our services for one simple monthly price. Make your first impression of you, or your product or service with a headshot, or portrait. Your Ideas, Professionally Written. Blog, Social media and ebook content are written with your voice and style. We Build, Host, and Maintain lightning fast websites, that do just what you need, and nothing more. We design Logos and Supporting Marketing Graphics, to make your brochures, signage, and social posts look on brand, and professional. Video is the #1 type of content to build engagement, and express your brand’s message. Want to get your free time back? Let us take care of your Social Media, and supercharge your ROI on your advertisements. We take care of everything. Here's how! Don’t have a plan? Have one of ours! Take the guess work out of what you should be doing with your business. We have roadmaps for businesses of all sizes to either start, maintain, or grow their business. We take the time to outline exactly what work we will do for you, and we keep in constant contact with you through out so every week you know exactly where you are, and where you are going with your business. Everything you Need to grow your business. In one place. Dealing with a patchwork of companies for your marketing can make you feel like you are being pulled in 10 different ways. You might need a dedicated employee just to make sure all of the companies you’ve hired are doing the same thing. We simplify things by bringing together a team of people all with the same playbook. And if we need to bring in some extra help, we take care of managing those relationships for you with our network of talented friends in the industry. We aren’t just making your marketing pretty. We believe that content shouldn’t just look good. It should actually PERFORM well too. 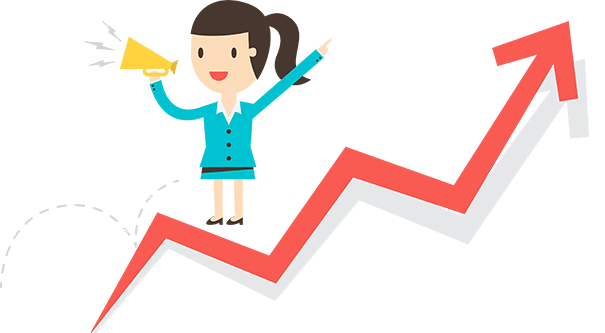 Every week you will get detailed stats about how your business is growing, along with our plan on how we are going to improve it next week. We track everything from your website, blog content, social media and advertising performance, so we can know what’s working, and what needs to go. We measure and test your social posts, landing pages, blog posts, newsletters… and double down on the content that works, and replace the stuff that doesn’t. Have access to all of our skills… or just get advice! Whatever you need to market your business, we take care of it, saving you time and energy figuring out what you need. For those that want to test the waters with us, try us out on a one-off basis! Focus on the Big Picture. We handle the Grind. We are experts at marketing, but ultimately the vision and goal for your company is set by you. We are here not to tell you how to run your business, but to free you up so that you can. Wherever you want to take your business, we are here to show you a way to make it happen. Dream big! And we’ll make it happen. Does your Marketing need a lot of Help? Have all of our services at your disposal in our Content Marketing Retainers. It’s the least expensive way to get all of our services, with the best ROI. We have limited availability, so let’s have a chat and see if we’re a good fit for each other!